The English Master’s program designed for those who seek quality and flexibility to improve their skills for future employment and leadership opportunities. The aim of the program is to cultivate highly skilled professionals with a global mindset, a strong sense of ethics, and the ability to contribute positively to the international business community. The NUCB Busienss School offers two paths of study depending on the background of the applicant at the time of enrollment. Applicants with over three years of professional experience enter onto the one-year, full-time English MBA track. A two-year option for a Master of Science in Management (MIM) is also available for students who wish to undertake a double degree program or study abroad exchange with one of the NUCB Business School's overseas partner institutions. Many students who follow the two-year track continue to work in Japan while earning their Master's degree, this is a Part-Time MBA with courses held on the weekend only. For applicants with less than three years of work experience, the school offers a two-year track for a Master's with a different set of mandatory courses than the one-year Master's track. Located in downtown Nagoya, the Marunouchi Tower Campus boasts excellent access to the centers of both Asian business and Japanese culture. Many international organizations and financial institutions base their head offices in Nagoya, with entertainment and shopping districts well within walking distance. The NUCB Business School is dedicated to leveraging its location to attract top business professionals as well as faculty that exerts a strong global influence. The NUCB Business School conducts courses in 100% English following the case study method. Proven in business classrooms worldwide, this teaching methodology facilitates communication between students with immensely diverse backgrounds and perspectives. Furthermore, the NUCB Business School boasts its own case center with over 1,200 cases that are specifically focused on Japanese and Asian companies. Over 100 new cases are published each year by the graduate school of management with cases researched and written by students themselves under the supervision of the faculty. **Interviews may be requested on demand for those who require an early decision or deadline based decision (for scholarship such as MEXT), after submitting your application please contact the school to request an interview date. There are more than 10,000 management education programs in the world. 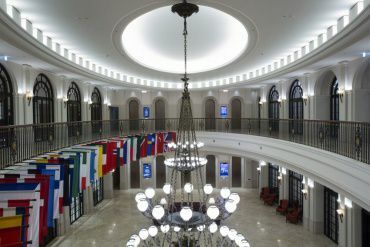 International associations, such as AACSB International and AMBA, accredit business schools which meet their strict standards for the quality of education. In the international business community, only programs with international accreditation are considered 'real MBA programs'. Tuition includes nearly all academic learning materials and lunch buffet on weekends.